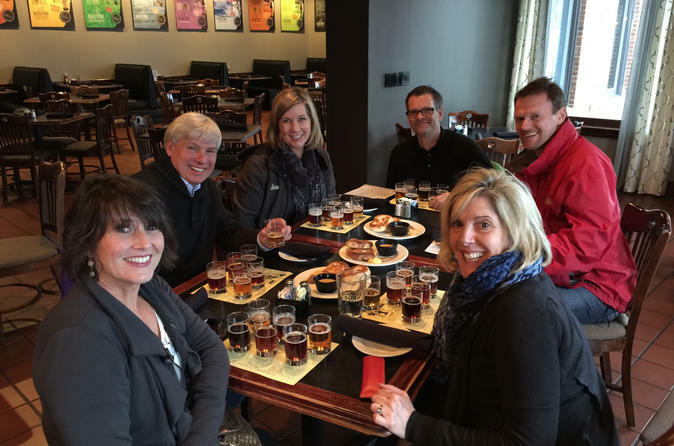 Enjoy Nashville's favorite foods and a private sightseeing tour exclusively for your group. Visit Nashville neighborhoods and landmarks with your private guide, and sample our quintessential foods along the way. Discover the food, fun, and facts that make Nashville a unique and fascinating city! Along the way, sample authentic Nashville Hot Chicken, Whole-hog BBQ, our own frosty alcohol milkshake, and the quirky and local neighborhoods that showcase Nashville's creativity. BYOB on the van! It's fun, social, and delicious! You'll experience Nashville's local foods with a personal guide who will also share information about the neighborhoods and landmarks that make up Nashville's story. All of the featured food and drink are included in this 3-hour tour. You'll visit 5 different restaurants and bars, passing some of Nashville's most interesting neighborhoods and landmarks along the way. Visit East Nashville, Belmont, Vanderbilt, Music Row, the Gulch, and more. Bicentennial Mall, the Farmer's Market, Nissan Stadium, and the Cumberland river all have a part in the story of Nashville. You'll see them all and experience our favorite foods from authentic places that serve only the very best examples of local cuisine. Discover Nashville in the comfort of our van, with a guide who can answer your questions and share stories, facts, and places with you that you wouldn't otherwise learn.